Hello and Welcome to Organic Bebe Photography™! I have the best job in the world being a Denver maternity and newborn photographer. I thought it would be fun to give you a glimpse into our photography studio I am often asked if we have enough wraps, props, fabrics and other items for newborn sessions and the answer is YES! My husband and kiddos would likely go so far as to say too much. Our studio is located in Loveland, CO and we can accommodate maternity, newborn, milestone (3m-11m), and cake smash sessions in our studio. I offer lifestyle sessions for those clients who would rather have their newborn session in their home. As you can see we offer an extensive line of custom organic hats and wraps. We have tie backs and fabrics in just about any color you could imagine as well as several Bronco newborn outfits and hats. 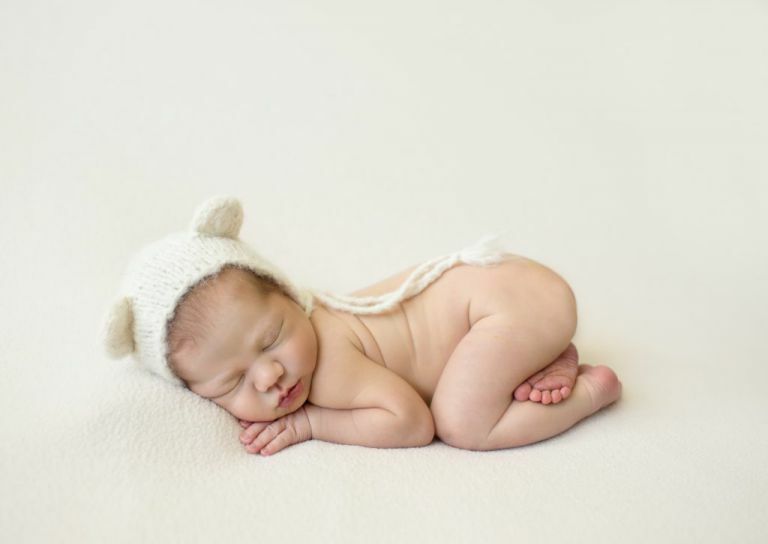 We offer both posed and more lifestyle newborn sessions. Parents are more than welcome to bring a special item at home that they would like to have incorporated into their sessions. We have samples of our canvases, prints, albums, cards and other luxe items for parents to look at during their sessions. One of my favorite parts is the local art pieces that depict an expectant mother and a mother with a young child. We hope you feel cozy and right at home during any of these sessions in our studio! Enjoy the tour! I have also included some images that show the end result of the areas and items shown.